Here is a map displays territory of Russia, of Ukraine. On this map city Segezha for Garmin. On this map town Nadvoitsy for Garmin. You can find here Yendoguba presented. 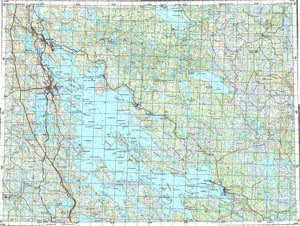 On this map Vygozero marked. You can find here Vozhmogora presented. Vorenzha download for free. You can find here Valday download for free. Displayed Uslag Shavan' marked. On this map Uslag Enda for Garmin. Urosozero download for free. Displayed Urosozero marked. Displayed Unezhma presented. You can find here Taboyporog free download. Sumozero marked. Displayed Sumostrov download for free. Sumerechi presented. You can find here Suglitsa marked.